Students who present behavioral difficulties in western Marquette County schools will gain greater access to applied behavior analysis services through a new collaboration with the Behavioral Education Assessment and Research (BEAR) Center at Northern Michigan University. NMU students will also gain practical experience before they graduate and become practitioners. The Western Marquette County Health Foundation (WMCHF) spearheaded the project. Applied Behavior Analysis (ABA) is the systematic use of learning theory and evidenced-based practices to encourage adaptive behaviors while minimizing problematic behaviors. 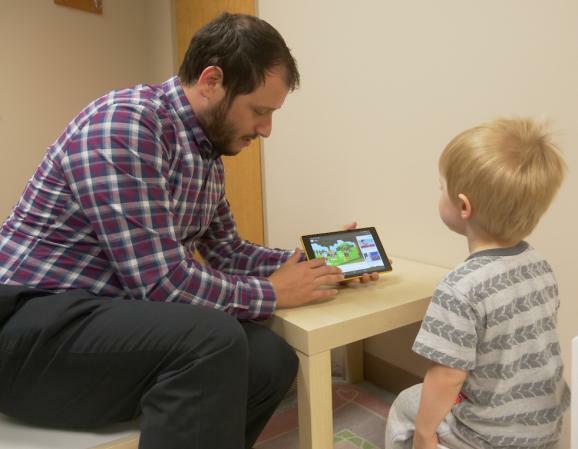 There is a shortage of qualified behavior analytic professionals and schools often struggle to obtain access to ABA services, said Jacob Daar, assistant professor of psychology at NMU and director of the BEAR Center. He is also one of relatively few board-certified analysts in the region. Dealing with disruptive, aggressive and otherwise problematic behaviors is a complex and multi-disciplined task, Daar said. This underscores the importance of NMU training qualified people for the field. ABA is focused on developing effective positive-based strategies that help to reduce less ideal strategies such as detention, suspension, seclusion or expulsion and possible restraint. The collaboration between Western Marquette County schools and the BEAR center is made possible through WMCHF funding and a $25,000 grant from the Superior Health Foundation. The grant aims to support the development and implementation of individualized education plans, increase competency in positive function-based behavior supports among school professionals and increase regional access to behavioral health services in schools by graduating behavior analytic professionals with relevant training. Services are currently provided at the Westwood community schools evening classes in addition to the Negaunee and Ishpeming public school districts. Christensen said when the WMCHF made a commitment to fund the project, it had to find sources of additional funding in order to implement the program and potentially expand it into other school districts. The program is funded for two academic years. Six NMU students will work under the supervision of two NMU faculty behavior analysts. The group will provide about 90 hours in services per week. NMU's Department of Psychological Science includes an undergraduate and graduate program in behavior analysis and maintains the BEAR Center. The center provides a mix of clinical, in home and agency services, in addition to professional training in behavioral sciences. The facility also helps connect agencies across the Upper Peninsula to the ABA services provided by NMU practicum students, graduate assistants and faculty supervisors.